6 questions for Caribbean Spice girl – CX Pay B.V.
Meet our Merchant Helmi Smeulders. 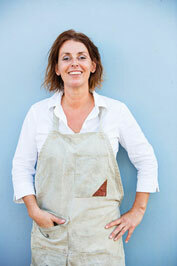 In this article Helmi will tell the story of her business and her passion for cooking. Also she will let us know what online payments means to her business. She should know since she is one of CX Pay’s first customers, 2,5 years ago. 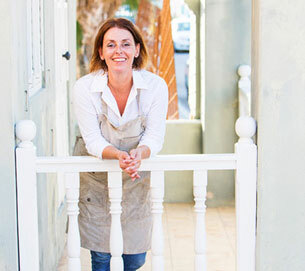 I’m the owner of Thelma & Louise – Wild Cooking, on Curacao a well know catering company. Next to being an entrepreneur, I’m a food blogger, a chef and an author. My goal and passion is to boost the Caribbean kitchen. There are so many local products and ingredients you can use to create healthy and tasty food. You can do so much more with the local product, to create a dish completely different from the current standard Caribbean dishes. As the ‘Caribbean Chef’ I want to boost the Caribbean kitchen through my food blogs, my pop-up events/restaurants, my cooking classes and my books. Yes, I’m very proud because I can say books now! I have written a second book; ‘Island Vibes, The Joy of Caribbean Cooking’, it is printed as we speak. It will be launched on December 1st 2018. My customers are people interested in tasty and good food. They are adventurous because they like innovative and unique dishes. For my catering services, cooking classes and local pop up events it is customers living on Curacao. For my books and blogs my customers are located all over the world. This can be local people who moved abroad or food fans who want to know more about our Caribbean kitchen. 3. Why did you make the step offering online payments on your website and what are the benefits? Writing my first book I realized I needed a bigger market. Only the Curacao market is not enough. It worked! I sell books to cooking fans in South Africa, Australia and even Poland. Without my webshop that would never have happened. 4. Who was your first online paying customer? O, I don’t know that by hart. Let me check the system…… It was a customer from Trinidad who bought 2 of my books on April 9th 2016. Up till now I have had 45 orders on my website. I’m still hoping for an international break-through! My second book might help achieve that break-through ;-). 5. Why should other entrepreneurs add online payment options to their website? You can easily expand your market. Your product is available for a larger target group. Look at me, I sell my books all over the world. As I started the online payment options it was primarily intended for selling my books. Now I also use it for my other services, meaning local services. It is easy for my customers. They don’t have to drive to my cooking studio to confirm their reservation for an event or cooking class. Next to that I don’t have to check my bank account. Because I receive a message right away after a payment has been made. I’m always up-to-date. 6. You were one of CX Pay first customers, now over 100 other merchants have joined. Compared to the number of businesses in the Caribbean this number could be much higher. What do you think should happen to let customers pay more online? According to me, local people are used to paying online. Look at all the products that are being purchased abroad. Including airplane tickets or complete vacations. More promotion or education might be a solution to get more people paying local online and pushing more entrepreneurs to get into local online payments. Just like my local ingredients! More about our CX Pay e-payment solutions? Send us an e-mail or use the contact form. © 2019 Copyright CX Pay B.V.